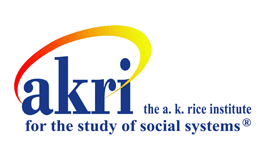 As a part of expanding access to the group relations research and writing of our AKRI members we are now including this section on the akri public website to announce member publications. If you have a printed publication to announce email us a press release or other descriptive material and any links to external websites such as for purchase. If you have an article that you’d like to share and would like it to be downloadable please send us a pdf. Include any copyright and reprint limitations for the document if applicable. 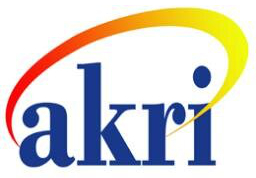 This new subsection complements the growing archive of audio and video documentation of the AKRI Dialogues (or future title) Presenters at the Dialogues may also submit pdf’s of any full papers presented for publication online. See the other sections under this Media Menu Pulldown at the top of the webpage. A volume of poetry, both light and dense, centering on people and emotion and emotion's influence in the paths we take. Layers of mortality, joy, hope, and love and appreciation of life are central themes. Illustrated by Kate Gray. Much of this content is a result of the way we honor the unconscious, notes the author. The book, Talking About Structural Inequalities in Everyday Life: New Politics of Race in Groups, Organizations, and Social Systems, provides critical attention to contemporary, innovative, and cutting‐edge issues in group, organizational, and social systems that address the complexities of racialized structural inequalities in everyday life. This book provides a comprehensive focus on systemic, societal, and organizational functioning in a variety of contexts in advancing the interdisciplinary fields of human development, counseling, social work, education, public health, multiculturalism/cultural studies, and organizational consultation. One of the most fundamental aspects of this book engages readers in the connection between theory and praxis that incorporates a critical analytic approach to learning and the practicality of knowledge. A critical emphasis examines how inequalities and power relations manifest in groups, organizations, communities, and social systems within societal contexts. In particular, suppressing talk about racialized structural inequalities in the dominant culture has traditionally worked to marginalize communities of color. The subtle, barely visible, and sometimes unspeakable behavioral practices involving these racialized dynamics are explored. This scholarly book provides a valuable collection of chapters for researchers, prevention experts, clinicians, and policy makers, as well as research organizations, not‐for‐profit organizations, clinical agencies, and advanced level undergraduate and graduate courses focused on counseling, social work, education, public health, organizational consultation and advocacy. Under a somewhat broader range of social science conceptualization, the capacity for abstraction is linked with anti-work in groups, the large group is re-imagined as an extension of community dynamics and dysfunction, and the role of symbol systems, symbology and semiotics are examined in relation to sophisticated work groups. Lastly, non-Tavistock models of group development and conceptualization are re-interpreted and explained using a group-as-a-whole framework.Much work in this field has been based on one or two paradigms, notably stemming from the work of Rice (Learning for Leadership), Bion (Experiences in Groups), and Klein (Envy and Gratitude and Other Works). While these models and their extensions are indeed useful, the authors argue that it is time to introduce new paradigms to enrich the interpretive possibilities of this field and to increase its applicability to modern and postmodern contexts. We live in an increasingly multicultural world. When we interact with people from racial, ethnic, and cultural backgrounds different from our own, tension and stress sometimes arise, especially when we are not accustomed to interacting with those outside our social identity group. Our values, beliefs, and hidden assumptions can lead to discomfort and confrontation in group settings. This can have the effect of the ‘fight or flight’ response in participants.